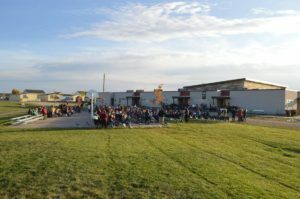 Caldwell, Idaho – October 11, 2016 — Vision Charter School has started construction on a building expansion financed by a 6.5 million dollar loan from Banner Bank and a tax free bond secured with the help of financial non-profit Building Hope and Idaho Housing and Finance Association. The expansion will add 28,000 square feet of additional space and provide a permanent facility for the school’s 400 elementary students currently housed in portable classrooms. October groundbreaking ceremony at Vision Charter School for their new expansion. Idaho charter public schools do not have access to the same bond or levy funding that district public schools rely on to build, remodel or expand their buildings. Instead, charters must rely on the private sector and non-profits, like Building Hope, to secure financing. 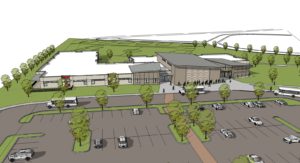 This new expansion will include permanent space for kindergarten through sixth grade classrooms, special education room, music room, two secondary classrooms, and make room for an additional 60 students. This expansion is on step towards serving the 1200 student names on the 2016-17 waitlist who want to attend the charter public school. 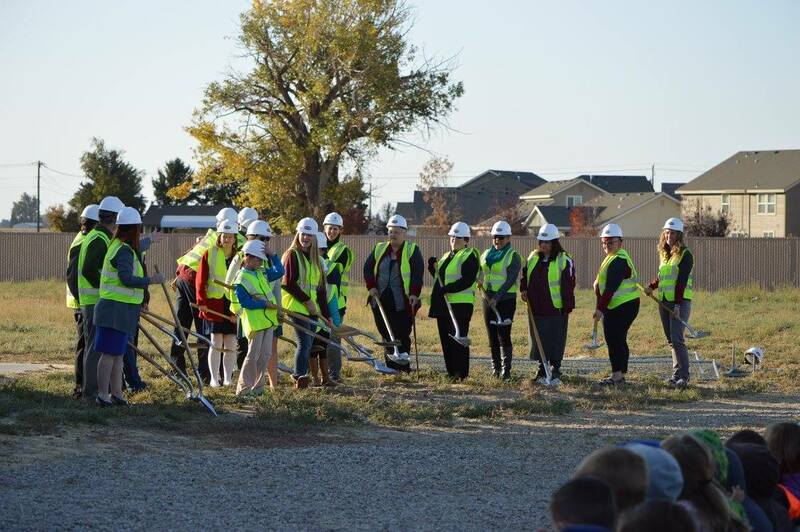 A groundbreaking ceremony was held at the Caldwell school last Monday for students and families. “We are excited to provide students access to high-quality facilities at our K-12 college prep, science and art school.” said Wendy Oldenkamp, administrator at Vision Charter School. Vision Charter School opened in 2007 with 220 students in grades K-6 and has grown to serve almost 700 K-12 students. Vision Charter School provides a free K-12 college-preparatory science and art education that emphasizes challenging curriculum, advanced opportunities, and character and leadership education. All of Vision’s high school teachers are qualified to offer dual credit classes and in 2015, 18% of Vision’s graduating class earned an associates degree from the College of Western Idaho in addition to their high school diploma. Learn more about Vision Charter School and visioncharter.net and view the design plans here.